As fall fades into winter, you may notice some painful skin changes taking place. The skin is the largest organ in the body and it deserves just as much TLC as you give your (fill in favorite body part here). As the weather gets colder, the water in the outermost layers of the skin begins to evaporate into the drier air of winter, this causes the skin dry up and get very itchy, scaly, and flaky. It can even become painful and crack and bleed. So just how do you keep your skin silky smooth instead of having a fish ask you for its scales back? It may feel wonderfully luxurious to thaw out in a nice hot bath after a cold day on the slopes, but resist the temptation. Superhot water zaps moisture out of your skin leaving it drier than before. Keep the temperature lukewarm and keep the baths and showers sub-20 (preferably 10 or less on most days). If your skin has gotten to the point where it’s itchy and painful; a short, lukewarm bath with oatmeal can help to soothe irritated skin. If you haven’t already, now would be the time to switch a moisturizing body wash/bar and chuck that ultra-drying bar soap! I love Dove Sensitive Skin Body Wash with Nutriummoisture and Dove Winter Care Body Wash with Nutriummoisture. While it may sound counter-intuitive, it’s more important now than ever to exfoliate. Winter slows down the turnover of your skin cells and exfoliation helps to slough off that dead skin to make way for the new skin. Everyone’s skin types vary, but do a whole body exfoliation at least once a week in the shower (I don’t have a particular favorite). For my face, I use my Clarisonic Mia every night with my face wash and use an exfoliating scrub once or twice a week. I love my Kate Somerville ExfoliKate Gentle. You should already be in the habit of slathering on some moisturizer every time you get out of the shower, but in the winter, a lightweight lotion just might not do it. During the winter, I switch to a heavier lotion or a cream if I get really dry. Right after I get out of my shower, I quick towel off and then use moisturizer on my whole body. After a shower, especially after an exfoliation, your skin is the most receptive to moisturizers. I always keep lotion in my desk at work, but during the winter, I switch out my light and fragrant lotions for a heavy-duty workhorse. I try to use it as often as I can remember. My favorite lotions? Hands down, I get the best results with Eucerin and most of their products don’t leave a greasy feeling on my skin. Since most people’s faces do not mesh well with general body lotions, I thought it’d be important to address the face separately. Everyone has their own routines, so I suggest that you stick with what you know. But sometimes your skin, especially mine, needs a different routine in the winter months. Below is my winter skin care routine, which varies little from my summer routine, except for the fact that I use heavier creams and gels in place of light-weight, oil-free lotions. Remove make-up, if applicable (an oft-overlooked step, but vital). I use Neutrogena’s oil-free make up remover. Cleanse with Kate Somerville’s Gentle Daily Wash in conjunction with Clarisonic Mia. Once or twice a week, I cleanse sans Mia, but follow up with an exfoliating treatment. I prefer Kate Somerville ExfoliKate Gentle. Two or three times a week, as long as my skin’s not too dry, I will use an alcohol-free, gentle toner, such as Neutrogena’s alcohol-free toner. I finish by using an ultra-hydrating moisturizer (creams or gels are more effective in winter than lotions because they’re thicker). I tend to mix this one up and rotate between philosophy and Kate Somerville lines: philosophy’s take a deep breath, keep the peace, or hope in a jar and Kate Somerville’s Oil Free Moisturizer or Goat Milk Cream. 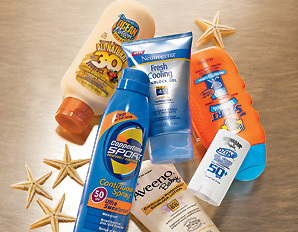 Sunscreen is not just for the summer. Winter rays can be just as intense if not more so with reflection off the snow, and since people generally forget about sunscreen if it’s below 60, winter’s sun can cause a lot of damage to your skin. Continue to use at least SPF 15 on your entire body and SPF 30 for your face. You should be able to find lotion that has SPF built in, so it’s one less step to think about. It’s so important to treat your hands well during the winter. You ask a lot of them and they can dry out very quickly. I keep a hand cream with me at all times (Eucerin’s Intensive Repair Extra-Enriched Hand Creme is a favorite) and I use it multiple times a day. Wear gloves! Every time you head out into the cold, make sure you’re wearing gloves, this helps your hands from losing precious moisture. Splurge on a paraffin wax treatment during a manicure session a few times this winter. Your hands will thank you! A friend recently suggested that before going to sleep, you should slather yours hands in a super-rich Shea Butter cream, then slip on gloves and hit the hay. I haven’t tried it yet, but she swears by it. She says you feel funny (and a bit “Breakfast at Tiffany’s”) at first, but then you get used to it and it does wonders for your hands. A humidifier will replace some of the humidity that is no longer in the air. I have one and love it. I highly recommend the Air-O-Swiss AOS 7147 Ultrasonic Humidifier – Warm and Cool Mist. The age old myths is that drinking lots of water keeps your skin glowing, but that has long since been debunked. However, drinking water does wonders for your general health, so continue to drink your 8 glasses (or more) a day! By getting regular moderate to vigorous exercise, you improve your blood circulation and keep fresh, oxygenated blood pumping through your entire body and this includes your skin. Hopefully, by using these tips you’ll be able to save your skin this winter and prevent that awful scratching and flaky. What are you favorite skin saving techniques for winter? Share below or tweet me @LindseyKate228. Come on, this is not attractive! So if you haven’t heard, there’s all this drama over this mom who supposedly took her 5-year old daughter to a tanning salon and now faces child endangerment charges. This has brought the tanning industry people and the doctors out in full force resulting in face offs in the news. Today’s post is going to focus on tanning beds and how it does impact your health. As a note, when I refer to tanning I’m referring to both the bed and beach type! 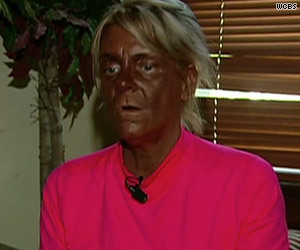 Tanning beds are dangerous for both your looks and your health! As the summer months rapidly approach many people (young and old, boys and girls) flock to the tanning beds to “get their bronze on”. 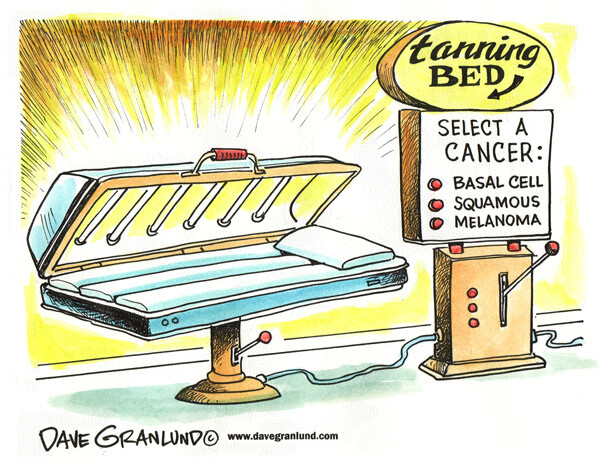 In case you live under a rock, a tanning bed is a casket-looking device with UV bulbs lining all sides of the inside. One lays flat on the bed for a predetermined amount of time and intensity a few times a week to get that sun-kissed look. The pro-bed folks say that it is just as safe as tanning in the sun, even claiming it’s actually safer because “an expert” examines your skin and gives you a skin rating, based on burn-ability. They then set the intensity and time to reflect that and then you slowly build up endurance as it were until you reach your preferred tan amount. In order understand how tanning (in or out of bed) is harmful to your skin and health, you need to understand just what that sun-kissed look really means! Pick a cancer, any cancer! When your body burns or tans it’s a reaction by your cells to the sun. If you’re as red as a lobster, congratulations you’ve just killed your skin cells. As a result, when your burn finally peels away, the new skin cells will be slightly darker than the ones you just burned off. It is your body’s way of protecting itself. The pigment of you skin cells are caused by melanin and the amount your body produces really depends on genetics, so that pretty much dictates how your skin is going to react. For example, I’m descended from the vikings of northern Europe, as a result I’m extremely fair skinned and I don’t get tan; I burn, peel, and return to my same paleness. If I burn enough, I will sometimes see a hint of color, but it’s not worth it to me. Plus it’s painful as anything to be burned, no thank you! 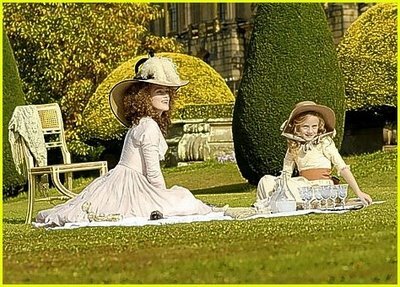 I’ve embraced my porcelain skin and I do everything I can to protect it. My ancestors were further from the harsh effects of the sun which others experienced near the equator, as a result we have whiter skin. People down near the equator (think Mexico, Africa, Southern Europe) were exposed to the harshest rays of the sun, and as a result over the many eons of evolution, their skin became darker to protect their skin from the sun. Now I don’t know who went which way. But, since rumor has it we all found our beginnings in Africa, I imagine that everyone started off dark and grew progressively lighter the farther away people moved away from the equator. High-bred ladies did not relax in the sunshine without proper protection for their fair features. So if you skin begins to change color from it’s norm, you are damaging your skin and even damaging it a little can have dire consequences. On the superficial side, excessive tanning (or even a little) causes your skin to break down prematurely. You’re going to get wrinkles and the skin is going to start to sag. You know that weathered leather look? Well that’s never attractive and it’s what you’re going to look like if you keep up with the tanning. The collagen and elasticity are going to break down and that’s the stuff that keeps you skin looking tight, firm, and young. Oh and don’t forget about the unsightly brown spots you’re going to get. Do you really want to look like her when you get older? which is true, but the difference is that the beds are much more intense and way above the “safe” limits (no matter what they say). UV rays are known carcinogens, which means they are known to cause caner (just like cigs). In fact, indoor UV tanners are 74% more likely to develop melanoma (the super deadly kind) than those who have never tanned indoors. New research has shown that those who make just 4visits to a tanning salon per year increases their risk for melanoma by 11%, and their risk for the two most common forms of skin cancer, basal cell carcinoma and squamous cell carcinoma, by 15%. “Your risk of developing melanoma increases after just one blistering sunburn. Squamous cell cancer increases based on your lifetime exposure to UV rays. Basal cell carcinoma risk increases based on the combination of intense sun exposure and lifetime exposure to UV radiation.” (Thanks Dr. Oz) You get UV rays from both the bed and sun! Every time you burn your skin (or tan it) you’re damaging the cells’ DNA just ever so slightly, that eventually it’s just enough to cause the cells to mutate and voila! hello cancer. Did I scare you? Good. Now here’s how to save your skin (and quite possibly your life). Here’s the easiest piece…run, don’t walk away from tanning salons. That is the fastest and cheapest way to save your life (tanning beds aren’t cheap!). Next? When you’re at the beach (or pool or wherever outside) wear sunscreen (we’re talking at least SPF 45 here people). Reapply ever 2 hours (more if you’re in and out of the water). Wear a hat! You can burn your scalp and not even realize it! Wear clothes over your swimsuit when not in the water. If you’re spending a whole day at the beach bring some sort of umbrella to sit under for the day. Double bonus: this also reduces your risk of sun/heat stroke. Protecting your skin doesn’t mean just on the days that you are planning on being outside, even the little bit you get on a daily basis can add up over time and slowly damage your skin. So make sure you use body lotion every day with at least SPF 15. I love Eurcerin Daily Lotion with SPF 15. I put on it every morning when I get out of the shower! Besides, moisturized skin is happy skin! I also use a face lotion with SPF built-in. I love Neutrogena’s Oil-Free Daily Moisturizer with SPF 15. This way every day I know that my skin is protected from harmful rays! So let’s say you just can’t give up that glowing, just been to the beach look? There are many non-UV ways to appear tan. Jergen’s Natural Glow and others make your skin appear more tanned. You can also get an airbrush tan, it’s a temporary look that won’t leave you wrinkled. In the end, as with everything, you skin is yours and only you can decide what is best for you, but in 40 years how do you want to look? But more importantly, do you want to be above or below ground?